Da'wah Dept — IQRO Foundation Inc. 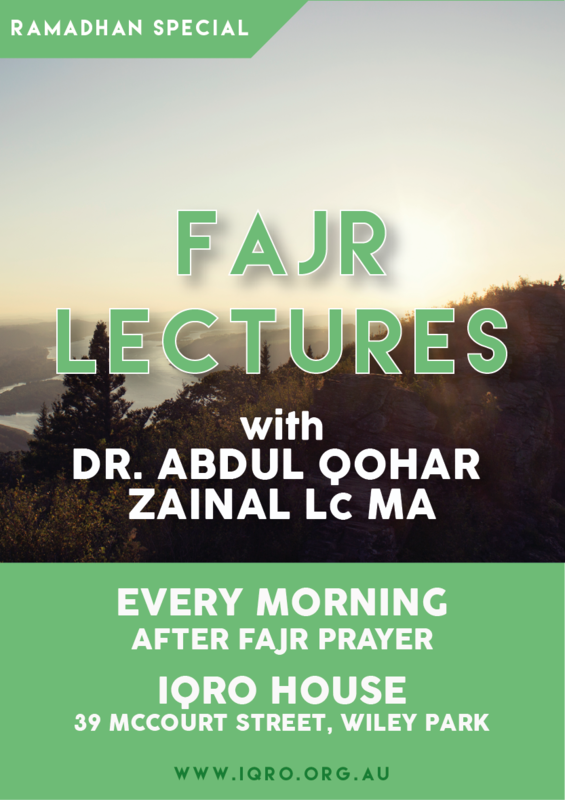 The class will begin after Fajr prayer. 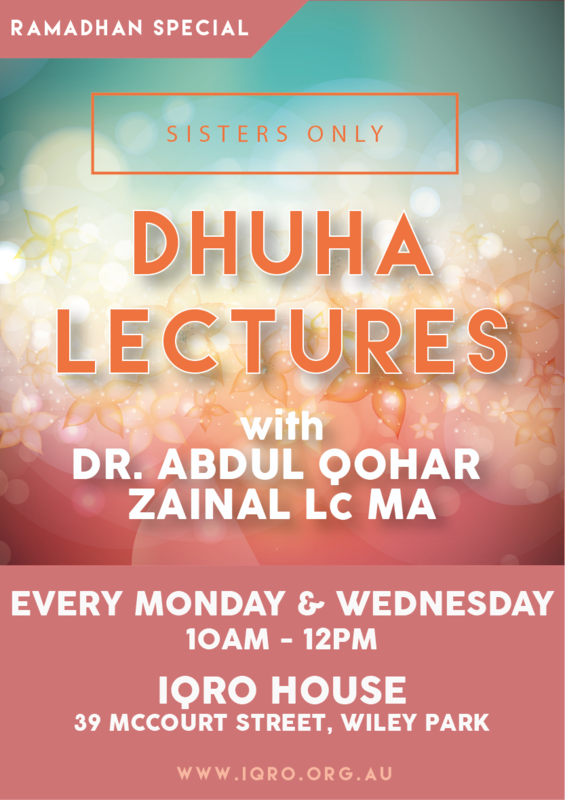 It will be followed by a short lecture presented by one of the IQRO members and the main lecture that will be delivered by a guest speaker. This activity aims to improve the quality of Quran recitation and to increase networking among members. The class will begin at 6AM. This class is for suitable for all level of memorisation as we have three levels that you can choose from. We aim to attract male from 10 years old and up to participate. This class is absolutely FREE, but registration is essential. Please follow the registration instruction in the image below. Ramadhan is the month full of blessings. 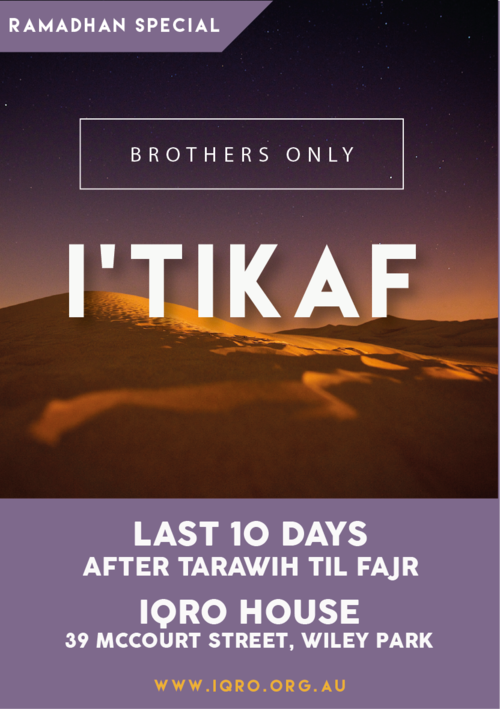 IQRO Foundation aims to facilitate the community around IQRO House to enable them to maximise their ibadah in Ramadhan. For more information, please visit www.iqro.org.au/ramadhan. To celebrate the completion of Ramadan month, IQRO will be holding Eid Prayer and followed by Eid feast full of Indonesian cuisines cooked by the Indonesian community masterchefs. This event is OPEN FOR EVERYONE. So, come along and bring your family and friends to celebrate this day of victory together! In collaboration with Dompet Dhuafa Australia and CIDE, IQRO will be holding a spectacular one day event. A prominent lecturers from Indonesia will be invited to give a speech on a certain topic. There will also be Indonesian traditional dance performance, nasyid performance by the children from Salsabeela Quranic School, opening speech by the Indonesian General Consular in Sydney, etc. Food and beverages will be available for purchase at the stalls. This is a special workshop to teach people on how to manage the burial process in Islamic way. We will dig into the content of a book carefully chosen to attract people's attention to understand more on Islamic matters.